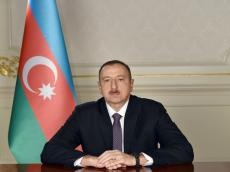 President of the Republic of Azerbaijan Ilham Aliyev has received Senior Director for European Affairs at the US National Security Council Charles Kupchan. The sides discussed the development of the Azerbaijani-US bilateral ties in a variety of fields. The parties expressed satisfaction with the establishment of partnership relations between the two countries in a number of fields. They stressed the importance of expanding energy cooperation, which has a rich history, with the support of the US. Touching upon the fight against international terrorism and cooperation in the field of security, the sides noted the significance of successful activity of Azerbaijani servicemen as part of the peacekeeping mission in Afghanistan. They also exchanged views over the current state and prospects of democratic processes in Azerbaijan. During the conversation, the parties discussed the regional situation, and the settlement of the Armenian-Azerbaijani Nagorno-Karabakh conflict. They also stressed the importance of strengthening cooperation even further.